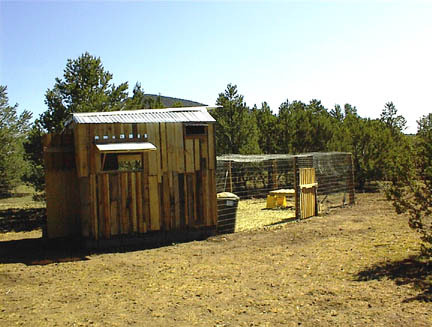 "The coop’s main structure was made using used oak pallets which were available free. The way the pallets were constructed made them easy to slide insulation into as we put them up. 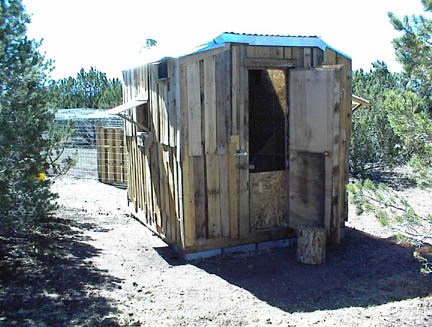 The exterior siding is lumber recycled from the pallets. The roof is corrugated tin left over from the horse barn. 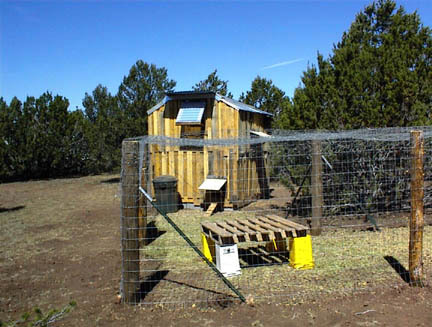 A very small section of the roof and two of the windows are corrugated vinyl." 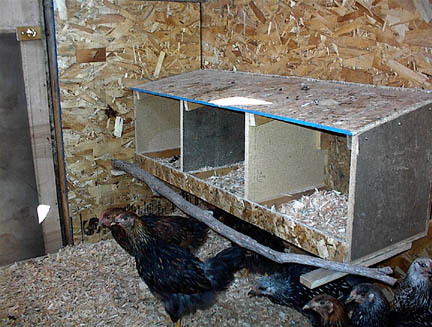 "The remaining window and the chicken’s door to the pen are old cabinet doors we found in a scrap pile, where we also found the lumber for the front door to the coop. At first I thought it was going to look really terrible, but I think it looks OK. 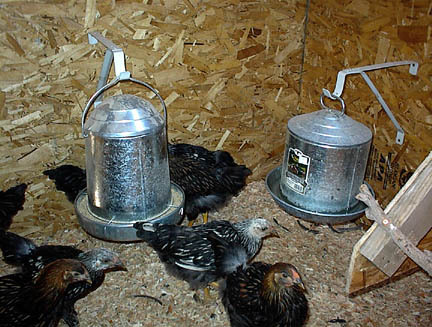 The chickens haven’t complained, at any rate." 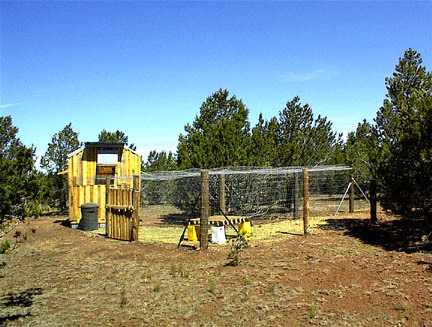 "We also used a pallet as the gate to the pen and we put a pallet on buckets inside the pen to provide a raised place to play." 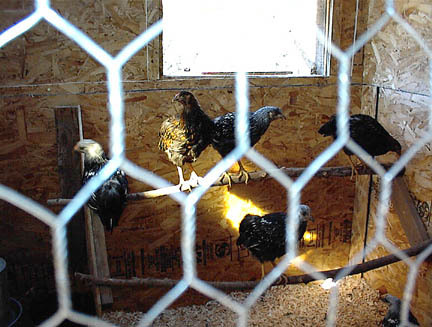 "Monty Python and the Flying Circus were only about 10 weeks old when I took the picture of them inside the coop." Would love to see more explanation of the build and design.